4:15 am – Wake up, get in the car, get to Denver International Airport. 6:35 am – Scarf down a muffin in the airport terminal while waiting for the flight to board. 7:00 am – Catch flight back home to Minnesota. 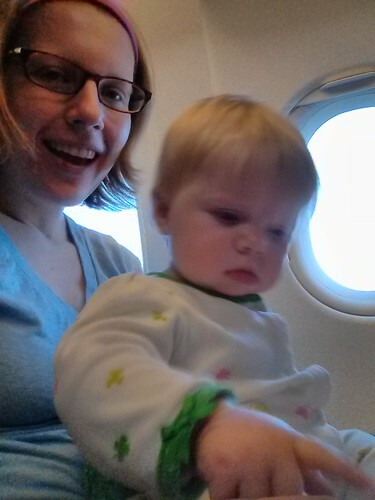 7:15 am – Try to soothe a screaming baby while in flight. 7:16 am – Feel bad for the guy sitting next to us, who, to his credit just stoically cranks up the volume on his iPod. 9:33 am – Land at MSP. Mercifully, the baby decides that crying isn’t so much fun on the ground. 9:58 am – Picked up at the airport by my Mother. 9:59 am – Load bags, baby and get back on the road. 11:15 am – Arrive back home. 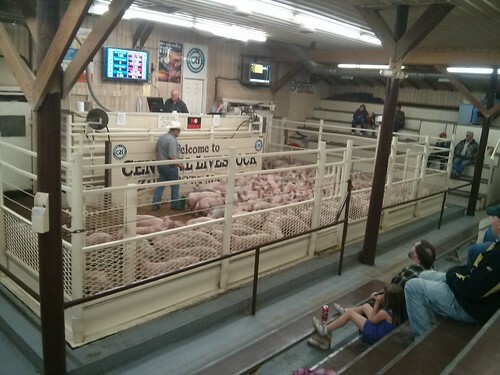 11:16 am – Leave for the Zumbrota salebarn to catch the Tuesday feeder pig auction. 544 pigs up for sale, including this lot of 138 pigs. 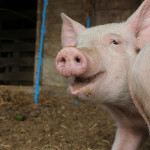 12:50 pm – Win the bidding on a lot of 5 pigs. 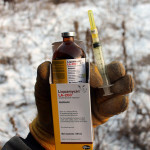 1:15 pm – Go back home and get the livestock trailer, go back to the salebarn to pickup the pigs. 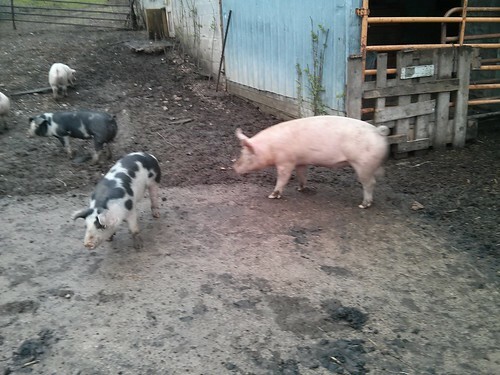 3:00 pm – Unload the new pigs, introduce them to the older pigs, make sure everyone’s happy. 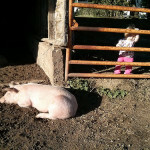 4:25 pm – Head to Rochester to pick up the materials to make a Broiler pen and a pig shelter. 7:00 pm – Home again. 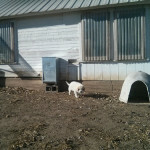 7:10 pm – Put together skids/bases for both Broiler pen and pig shelter. 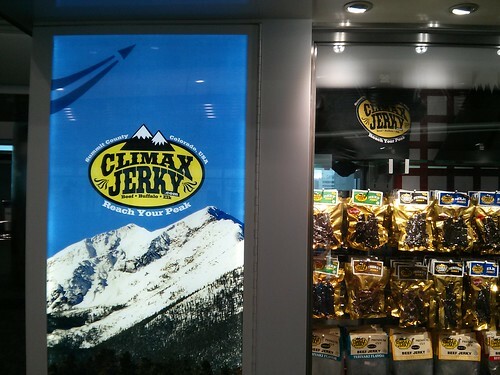 8:10 pm – Come inside, because it’s just too dark to work outside anymore. 11:15 pm – Finish writing blog post. 11:16 pm (tenative) – Pass out. Big day! Looks like a thriving feeder pig market. 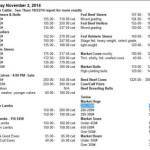 What price are feeder pigs now? Do you like spotted hogs? I select for spots in my breeders, just because I like the look. Feeder pigs were going around $1/lb. I got mine for a bit less, but one of the 5 has a hernia. I really like the looks of the spotted hogs, and seeing as how 2 of them are gilts, they may be sticking around for a while.